Deconstructing Homelessness: Finding a Place for Geography (IRC Policy for Society Award): The Deconstructing Homelessness project aims to engage a multi-stakeholder approach drawing from contemporary policy, mediated non-profit (or NGO) campaign perspectives, community and social worker experiences, and the voice of the homeless person. Ultimately, the project examines an emerging disconnect between the mediated representations of homeless communities in Ireland and the multiple lived realities of being homeless. 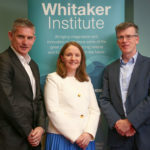 In doing so the project aims to make a significant contribution to Irish policy interventions on homelessness (and its associated legislation and action plans) in addition to challenging societal perceptions of the homeless experience. Exploring Geographies of Opportunity among Young Migrants: Working with Dr Valerie Ledwith and a number of community partners this research explores the emergence of a two-tiered schooling system in Galway City and County. This mixed-method project examined young migrants experiences of educational opportunity; including a focus on access, participation, aspiration and attainment. The project also examined a variety of family, school and neighbourhood effects, to consider the influence of each on overall student experiences. The project facilitated the development of a network between researchers at NUI Galway, community development practitioners across Galway City and County, and most importantly with migrant and new-comer communities. Transitioning to University (Galway Rural Development Research Grant): Working with, and informed by various community partners, this project examines the experiences of migrants and mature students living in Galway City and County who have successfully transitioned to university. As part of this project the collected data has the potential to inform positive strategies to enhance educational opportunities of other non-traditional students living in communities across Ireland. More practically, the project also facilitates the emergence of a discussion forum where young people can critically engage with issues pertaining to integration, citizenship and belonging. Critical and Participative Field-Based Learning Pedagogies: This research project is informed directly through staff and MA ESD student field experiences. Working with colleagues in Geography at NUI Galway, the University of Northampton (UK), and a series of community partners (including UNDP Bosnia; EU Delegation to Bosnia; British Council, and a series of NGOs and CSO organisations), we consider the complexity of engaging critical field-based learning pedagogies in post-conflict Sarajevo, Bosnia and Herzegovina. The research highlights some of the key challenges to initiating and practicing field-based learning pedagogies in fluid, dynamic and unsystematic research contexts. I reflect on the complexities involved in seeking to facilitate and practice critical participatory knowledges that comprise academic, student and civic engagement values. I am interested in unpacking the liminal, often uncomfortable, position of researchers (student or academic staff) during and post field-based learning, balancing the contentious and necessary arena of data collection with community perceptions of extractive research practice. The Places and Spaces of Childhood Project:T his project is a participatory field-based learning project that aims to transcend classroom learning through the development of field-based research skills. The project is built on the participation of three elements: university staff, Final Year Geography students and children aged 8  10. As part of this experience Final Year Geography students were required to complete a mental-mapping methodology with children; facilitating the production of a mental map, a recording of the childs explanation of that map and a student reflective journal. In addition to constructing a picture of childhood in Ireland, this participatory project evaluates student performance in field-based contexts, reviewing students effectiveness in co-creating geographic knowledge. By extension the project explores the relationship between theory and practice, whereby classroom learning becomes practiced in a field-based (and real world) context. This project formulates the basis for a book entitled Narrating Childhoods, the manuscript for this edited collection is due in late 2019.